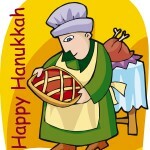 May you have a blessed and joyous Hanukkah. Thank You and the same to you and Merry X’mas too! Susan, I’m going to add one more word to your Season’s Greetings: healthy!